Mental health problems are all too common in our communities, and we seek to avoid language that could trigger episodes or make matters worse. However, front line staff may come across situations where a client needs immediate assistance. The aim of this webinar is to provide you with information so you can feel comfortable about how you respond to a person with a mental health problem. Tune in and listen to Sharon Mamo comprehensively discuss and answer your questions on responding to and supporting a person with a mental health condition within the employment services environment. Sharon is a qualified human services program designer and lecturer with many years of experience in Human Resources. For the last 5 years she has focused on researching and working with disengaged job seekers and their complex needs. Sharon combines clinical psychotherapy and professionalism with a natural and down-to-earth approach. 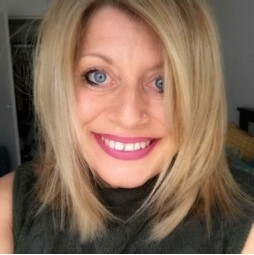 Sharon is a qualified Drug and Alcohol Facilitator, Psychotherapist & Social Sciences Professional. She has worked as a psychotherapist in employment services for over 8 years. As an expert in encouraging mandated and resistant clients to change, she keynotes at national conferences on topics of behavioural change, AOD, mental health and neuropsychotherapy. Psychotherapist and Social Sciences & Trauma Professional, Counselling & AOD Specialist.